There is a powerful tool lying under the surface of Bitrix24. 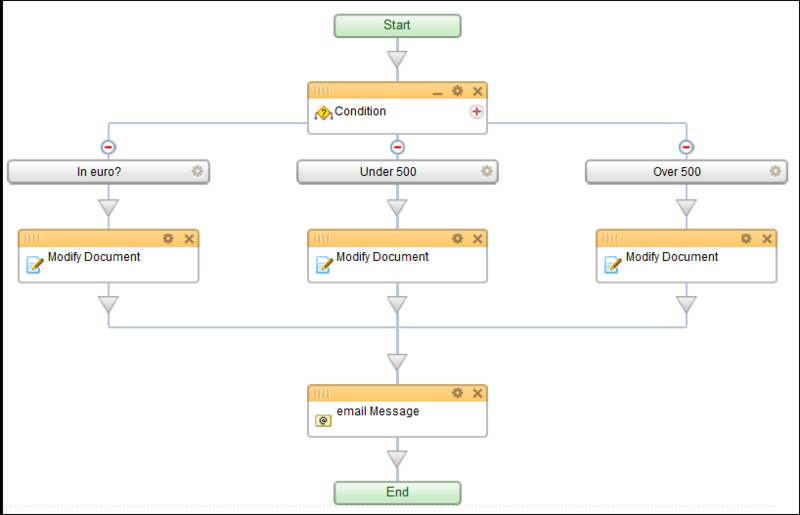 It is a workflow modeler which can operate in the framework of the CRM and document libraries (public and group libraries, not personal ones). Here, we are going to address an extremely important issue concerning customer relations – assigning a responsible sales associate. Clearly, if it is possible to do this automatically, that is optimal, since a sales lead fr om a website may come in at any time. This is an ideal operation for Bitrix24’s business processes. Please note that business processes are available for Bitrix24 Standard & Professional plans only. In the Template: Lead page, which can be found under CRM>Settings>Business Processes, new templates can be created and existing ones can be opened for editing or export. Now grab the “Condition” action block and set it in. You don’t need to put a value in at all, so that all values are accepted. 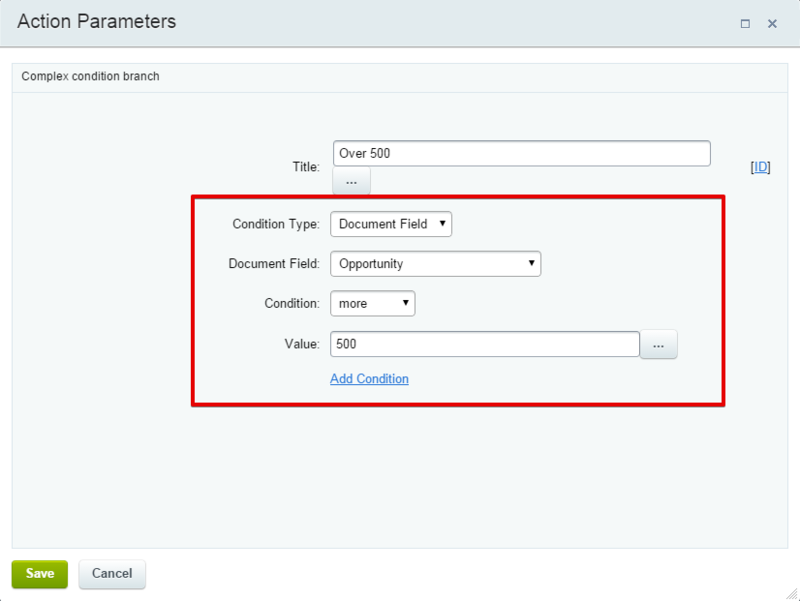 For the dollar blocks, choose “Opportunity” as the Document Field, make the Condition “More” or “Not more” and then put a number like 500 as the Value. Note: Whenever you see the square button with “…” on it, that means that you can choose fields, variables, parameters, users, or other values to build the contents of that field. Click on it to open a dialog box. 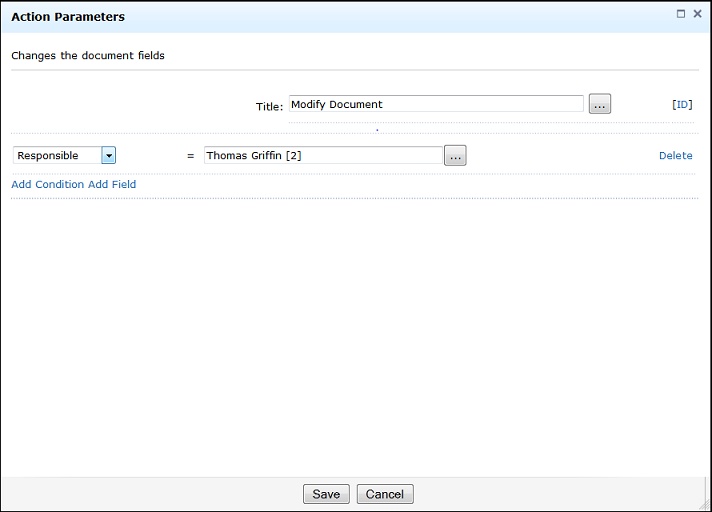 In this picture, each “Modify Document” action block simply sets the lead’s ‘Responsible’ field to the person who should be working on that type of lead. 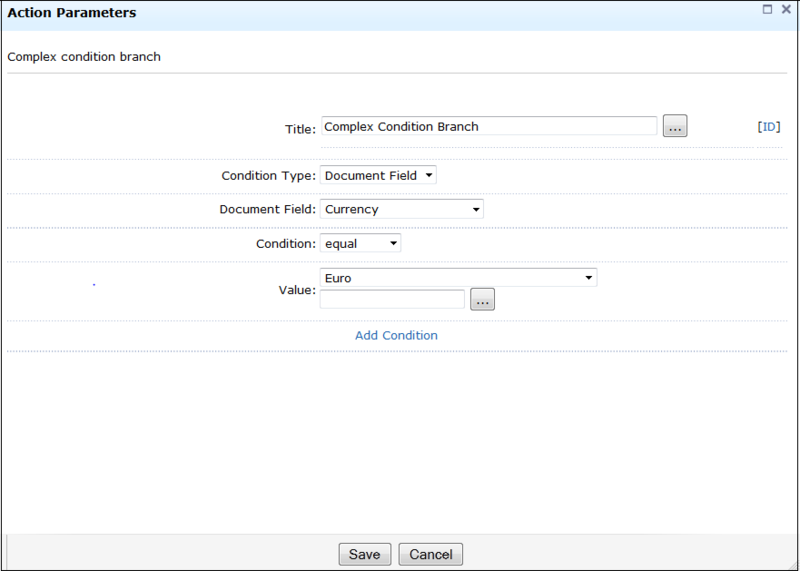 Note that this will overwrite the current value for the given document field (here, the responsible person). A more complicated flowchart could allow determining whether the value should be overwritten or not. You can also add an Email message action block that sends an email to the newly-assigned responsible person. 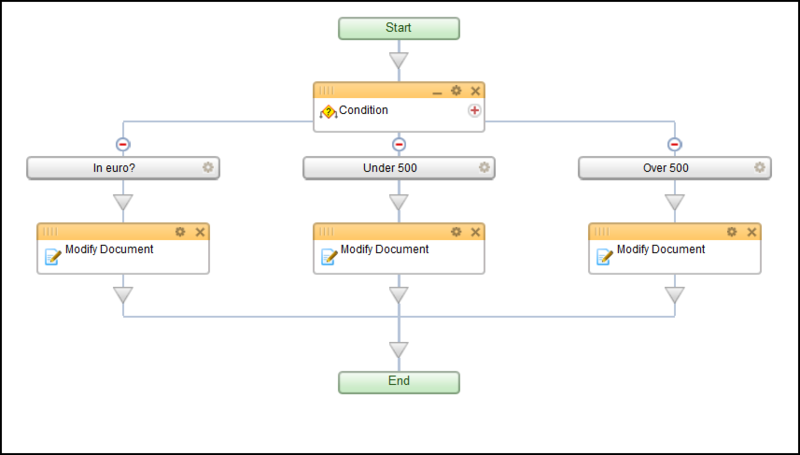 In the list of BP templates, you can set this to run when a new lead is created. That way, whether the new lead is added by hand or created via a connection to a web form on a website, the lead will automatically be assigned to the proper person, and then that person will receive an email notification.